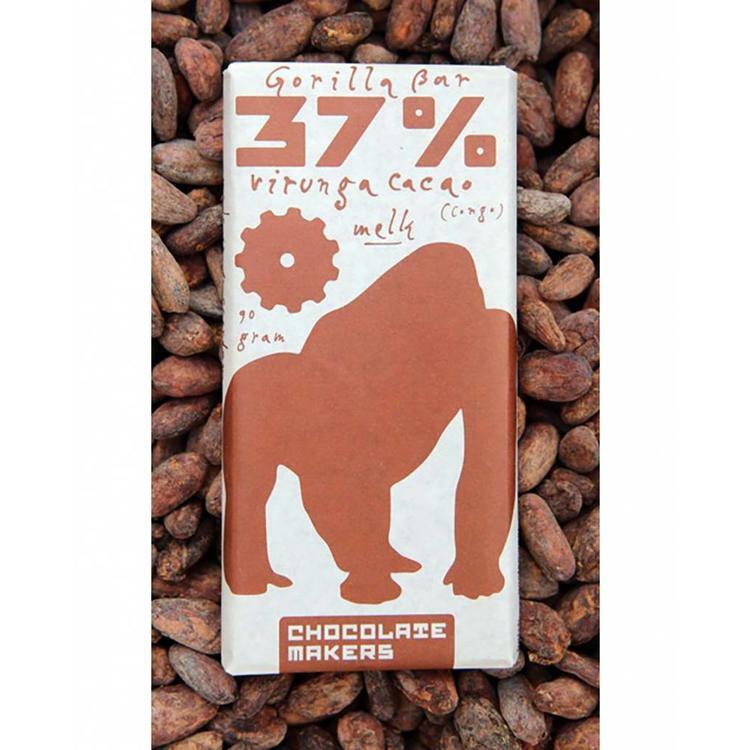 This chocolate is made from Virunga cocoa! By eating this chocolate you protect the gorillas and offer the residents a better future! 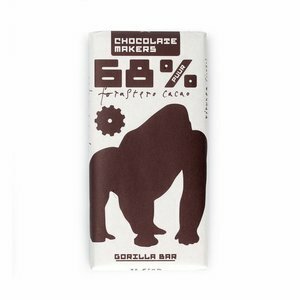 Just a warm, mood lifting bar of chocolate. Perfect for cold days! 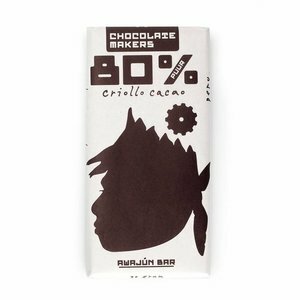 A very rich and intense milk chocolate. 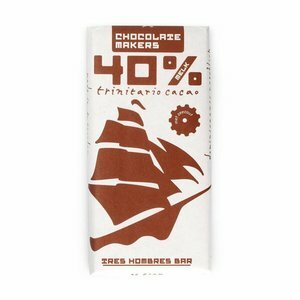 Chocolatemakers is a Dutch bean-to-bar chocolate producer based in Amsterdam. Sourcing their cocoa from the Dominican Republic, Congo and Peru, Rodney & Enver are as passionate about ethics and sustainability as they are about the chocolate itself. They only use organic ingredients. 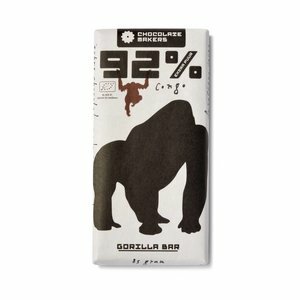 This bar is made with beans from Virunga in the Congo. 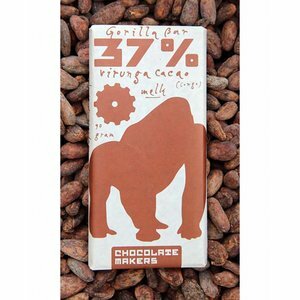 Virunga National Park is the last remaining habitat of the mountain gorillas. 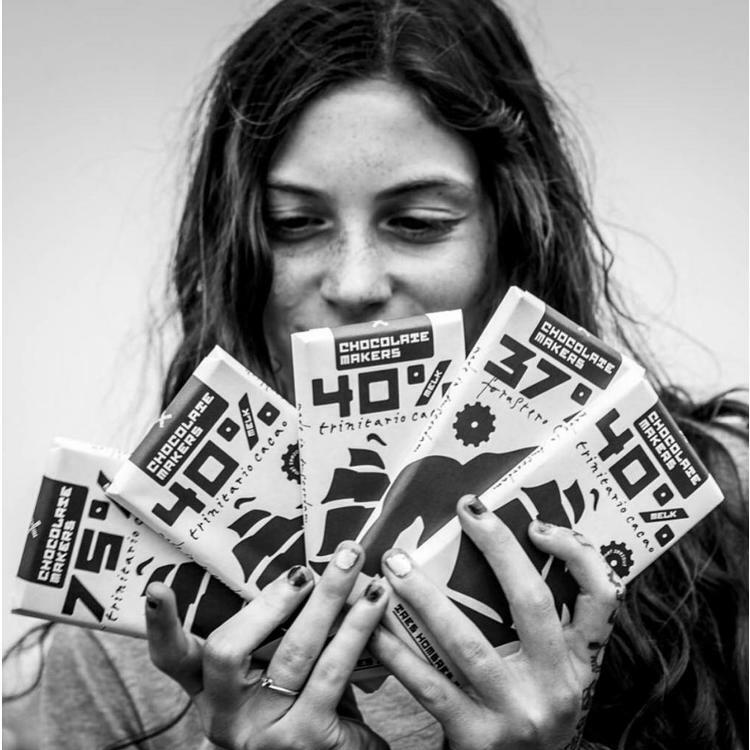 Planting cocoa on the edge of the park provides locals with a sustainable source of income that does not have a negative impact on the gorilla’s habitat. 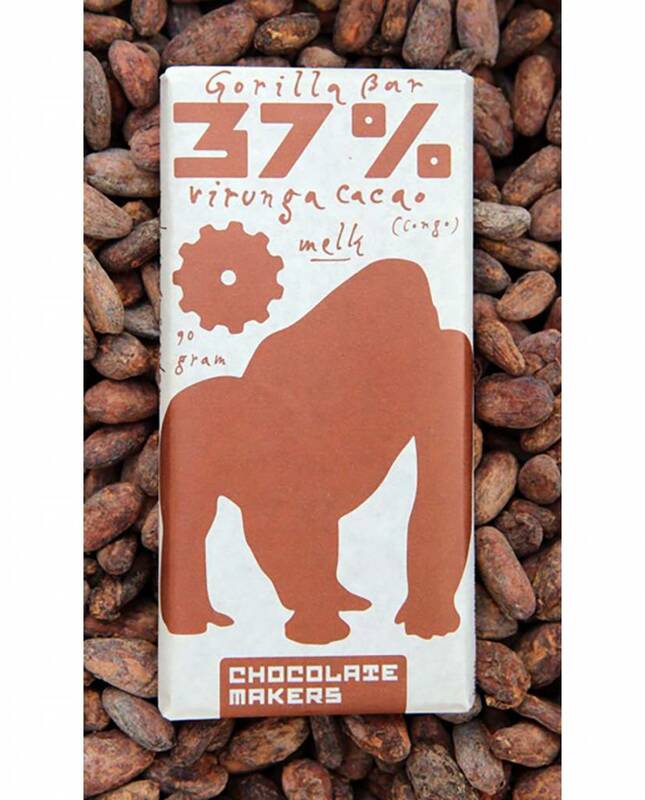 The result is win-win for local humans and gorillas, and for chocolate lovers worldwide! We think Chocolatemakers’ passion for both quality and environmental responsibility shines through in their chocolate, and we’re sure you’ll enjoy it as much as we do. The 'Gorilla bar' milk contains 37% cocoa beans, 30% milk powder, 23% sugar and 10% cocoa butter. All ingredients are organic. 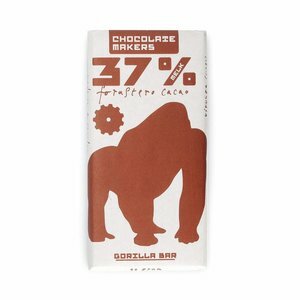 The bar weighs 90 grams and is wrapped in greaseproof paper printed with bio-ink. 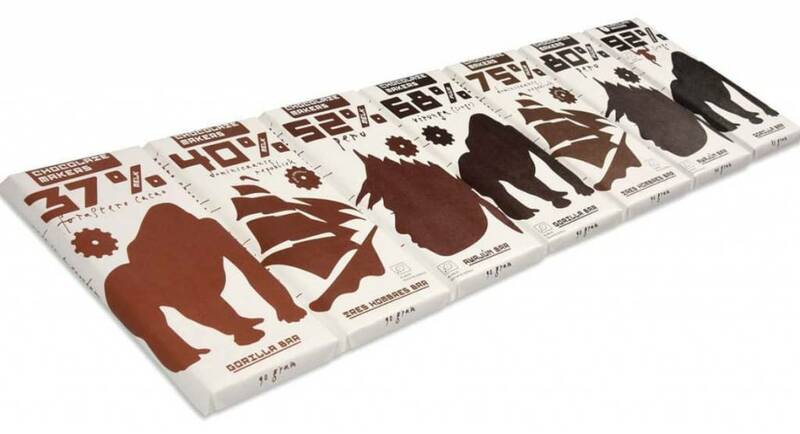 This chocolate is a fresh product. 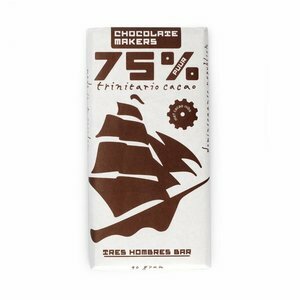 The bar has a shelf life of more than 6 months. 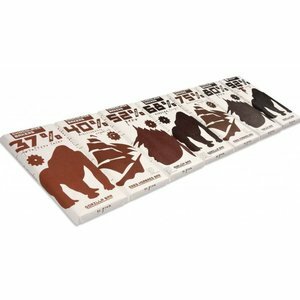 This chocolate is guaranteed to contain no traces of peanuts or nuts.